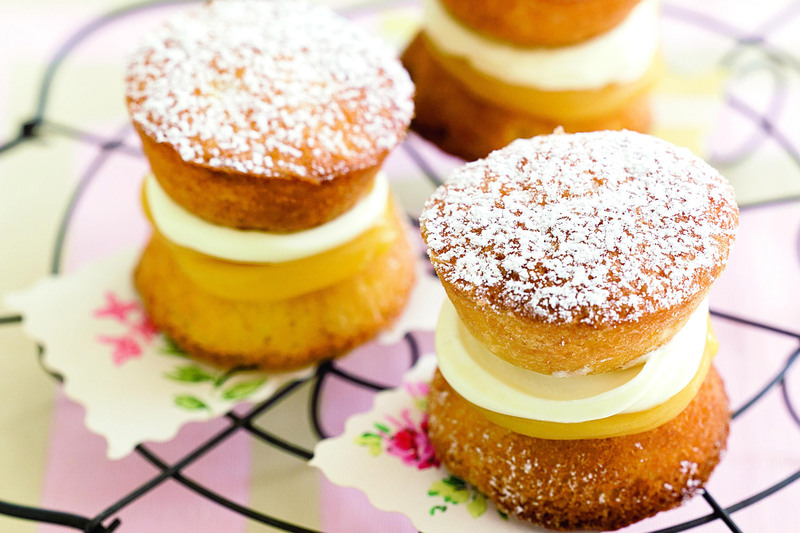 The mini vanilla sponges are so simple to make yet look so elegant when you serve them. For the full effect, this recipe calls for a mini sandwich tin that has removable bottoms for each cake, but if you just have a standard muffin/cupcake tin that's fine too. Your sponge cakes will just be a little oddly shaped!